Through the twisting, winding corridors of the mind lies a world both chillingly relatable and thoroughly alien. As the settings and characters shift and morph through a series of delightfully turbulent vignettes, we are drawn down a rabbit hole of the familiar and the bizarre, held captive by endless parallel universes that seep from the stage to consume our very being. 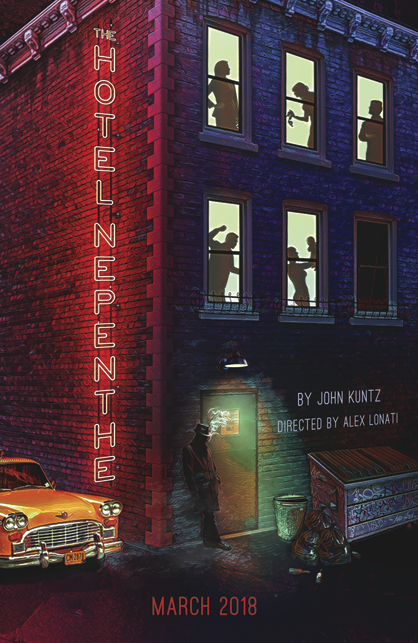 Not for the faint of heart, The Hotel Nepenthe is a perilously absurd romp through the mysteries of human nature, the ripples of fairy wings and alternate realities, and the search for meaning from within the abyss. NOTE: While reserved seating is going fast for our Boston run, no one will be turned away from The Hotel Nepenthe! Limited visibility seating will be provided to all who come to the show without reservations! Michael Underhill is a Boston born and bred actor. As a graduate from Northeastern University with a Bachelor of Arts in Theatre – Performance, Michael has found a niche in roles that demand comedic timing, high energy, physicality or athleticism. He has also been active in projects that focus on new play development, re-imagining classic texts, devising theater and utilizing improvisational techniques. 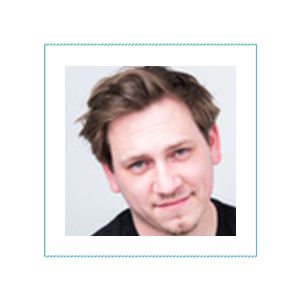 He has been an artistic associate with the theater company imaginary beasts since 2009 and also served on the artistic board of Happy Medium Theatre Company from 2011-15. He has been grateful to share the stage with several other companies in the Boston theatre scene, including Commonwealth Shakespeare Company, SpeakEasy Stage Company, Boston Playwrights’ Theatre, Actors’ Shakespeare Project, The Gold Dust Orphans, Stoneham Theatre, Theatre on Fire, Apollinaire Theatre, Maiden Phoenix Theatre Company, Whistler in the Dark, Heart & Dagger, Wax Wings Productions and ShakespeareNow! He met his beautiful and talented wife, Kiki Samko, while working on his first imaginary beasts production, ‘Dream of Life’ in 2009. He spends his days as the Programs and Services Manager with Associated Grant Makers. Rebecca Schneebaum is an actor, teaching artist, and Designated Linklater Voice Teacher who is absolutely thrilled to be returning to Brown Box Theatre Project. Previously she performed in Brown Box’s Annual Free Shakespeare Tour with The Taming of the Shrew (Grumio) and A Midsummer Night’s Dream (Snug). As an actor she has also worked with American Repertory Theatre, The Huntington Theatre, Boston Playwright’s Theatre, Actor’s Shakespeare Project, Anthem Theatre Company, and many others. Rebecca received her BFA in Acting from Emerson College and now teaches Linklater Voice in their Performing Arts Department. She has also taught Linklater Voice at Shakespeare & Company’s renowned Month Long Intensive and voice coaches for various companies throughout the Boston area. Her first love for teaching was fostered by the many workshops and programming she ran as the former Education Director for Brown Box Theatre Project and she is forever grateful for the collaboration and inspiration from this team over the years. Margaret Clark is thrilled to appear in her third Brown Box show, having previous appeared in Hamlet and Taming of the Shrew. Other favorite roles include Katherine in Love’s Labour’s Lost (Commonwealth Shakespeare), Elizabeth in How Soft the Lining (Bad Habit, a world premiere), Carol in Oleanna (Umbrella Arts), and Miss Plum in Trumpet of the Swan (Wheelock Family Theatre). 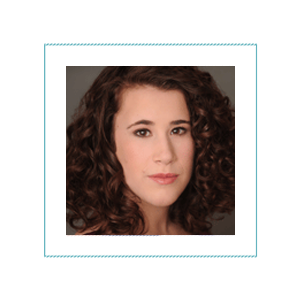 Margaret is also a fight choreographer whose work has been seen on both collegiate and professional stages. Cam (Actor Four) is thrilled to be working with Brown Box for the third time! He was most recently seen touring this previous summer in Hamlet as Claudius. Other credits include; Once Upon A Mattress (FPAC at BSU), Crimes of The Heart (2nd Story Theatre), Cymbeline (Brown Box Theatre Project), Angels in America (Salem Theater Company), A Winter’s Tale and A Midsummer Nights Dream (Bay Colony Shakespeare Co.) He would love to thank Ashley and his family for their love and never ending support. Thank you! Kyler Taustin (Producer) is the co-founder of Brown Box Theatre Project and has served as the Executive Artistic Director since its founding. Originally hailing from the Eastern Shore of Maryland, Kyler has first hand knowledge of challenges faced by those living in areas where cultural opportunities are limited and distance is a barrier to access of the arts. Kyler received his Bachelor of Arts in Theatre Studies from Emerson College in Boston, Massachusetts and soon thereafter founded Brown Box Theatre Project to return home to invigorate a culturally vibrant community in his hometown. For Brown Box, Kyler directed all 7 installments of Outdoor Free Shakespeare (Hamlet, Cymbeline, The Taming of the Shrew, Macbeth, A Midsummer Night’s Dream, Romeo and Juliet, and Twelfth Night). 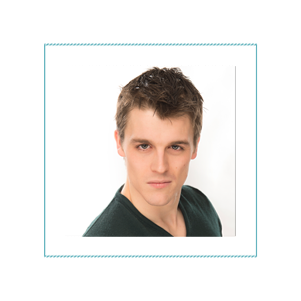 Contemporary productions Kyler directed include Songs for a New World, Brilliant Traces, Lab Rats, Echoes, Two Wrongs, The Nina Variations, Some Explicit Polaroids, and Two Rooms. As part of the Boxer Shorts series, Kyler directed Capricho, Play, and Talk to Me Like the Rain. Kyler was the co-director for both devised bi-lingual collaborations with Brown Box’s Mexican sister company Ícaro Compañia Teatral (When We Lived Together in the Belly of the Whale; No Soy Lo Que Soy). Kyler is honored to lead Brown Box as it strives to serve communities up and down the east coast as it has his home region. Alex Lonati (Director) is thrilled to be directing at Brown Box, after spending nearly three years on staff as their Producer. Past directing credits include the Pop-Up Prohibition Party and the Traveling Road Show Spectacular at SpeakEasy Stage Company; and Unwrap Your Candy, Next Thing You Know, and Gruesome Playground Injuries at Emerson College. Alex holds a Bachelor of Arts in Theatre Studies: Directing and Journalism from Emerson, where she spent four years hosting Standing Room Only, the Best of Broadway and Beyond, on 88.9 WERS. She is currently the Development Operations and Special Events Manager at SpeakEasy Stage, on the board of the Theatre Community Benevolent Fund, and in the Arts Administration Masters program at Boston University. Alex was named the Greater Boston Theatre Community Member of the Year by ArtsImpulse in 2016. Thank you always to Kyler, Andrew, and Mom. For Dad. Erica Brown (Production Manager): Previous Brown Box credits: Hamlet, Cymbeline, Taming of the Shrew, Macbeth, Midsummer Night’s Dream, Songs For A New World, Echoes, Lab Rats, Blue Window, Boxer Shorts I. Other Boston area credits: Cherry Orchard (ASP), Two Gentlemen of Verona (ASP), Magic Mirror (Juventas New Music Ensemble), She Kills Monsters (Company One). DC area credits: Rameau’s Nephew (Spooky Action), Coolatully (Solas Nua). Erica splits her time between Boston and DC, where she can be found working as a stage manager and house manager for a variety of theatre and independent projects. Sloth Levine (Props Designer) also serves as Social Media Manager for Brown Box Theatre Project. They recently assistant directed Men On Boats at SpeakEasy Stage, and will be serving as assistant director on Nomad Americana at Fresh Ink and Wig Out! at Company One/Oberon. Sloth recently graduated from Emerson College with a BA in Theatre Studies: Directing & Playwriting. Connor O’Brien (Master Electrician) is thrilled to be working with the Brown Box Theatre Project for the second time, having previously worked on their production of Hamlet this past summer. He has just recently graduated from Northeastern University with a degree in Theatre Studies with a concentration in production, where he got the opportunity to be the Master Electrician for numerous department productions including The 25th Annual Putnam County Spelling Bee directed by Scott Edmiston, Vinegar Tom directed by Janet Bobcean, and Mr. Burns: A post electric play directed by Nora Long, to name a few. He is also an original member of the Northeastern Shakespeare Society where he has served as Technical Director and President. Recently he was also the Master Electrician for Theatre on Fire’s Fringe Festival Cabinet of Curiosities at the Charlestown Working Theatre. He can also be found working as a freelance electrician around town. Abby Shenker (Scenic Designer) is excited for her Brown Box Theatre debut. Abby is a freelance scenic designer and props master. 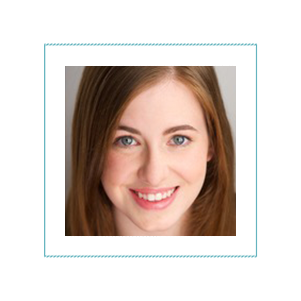 She works throughout the greater Boston area for a variety of professional companies, including The Nora Theatre Company (The Revolutionists), Actors’ Shakespeare Project (Exit the King), SpeakEasy Stage (Men On Boats), and more. She is a graduate of Emerson College.